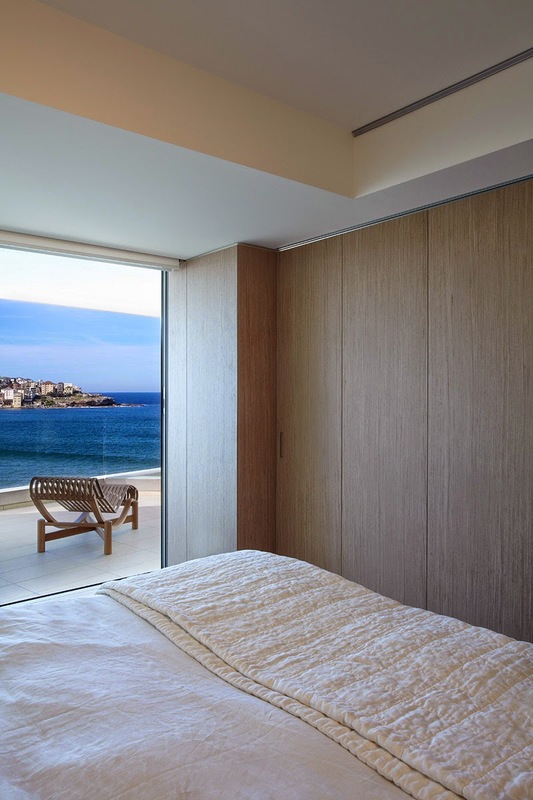 Sydney based Koichi Takada Architects designed Beach Residence, a beautiful minimalist two unit house with views over Bondi beach in Sydney, Australia. 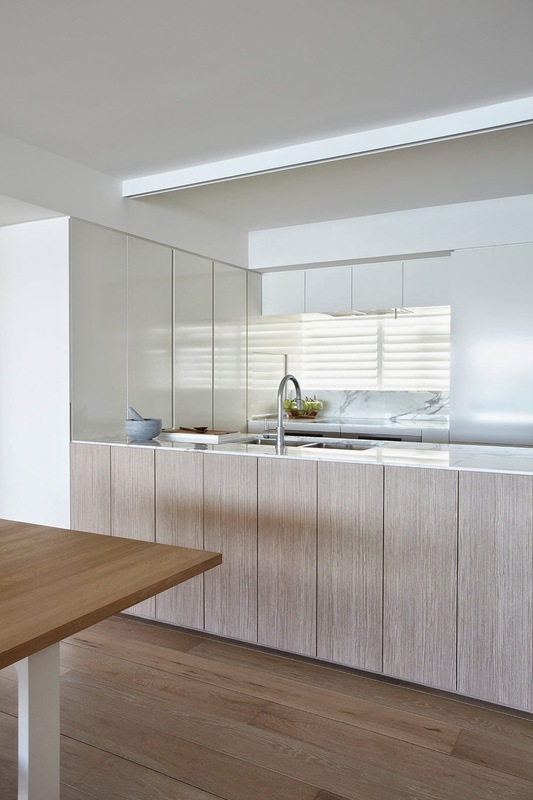 Shortlisted for the 2014 Australian Houses awards in the category Apartment or Unit, the elegant, open plan renovated apartments offer full time residency or holiday retreat, expressed in different finishes that reflect their different uses. 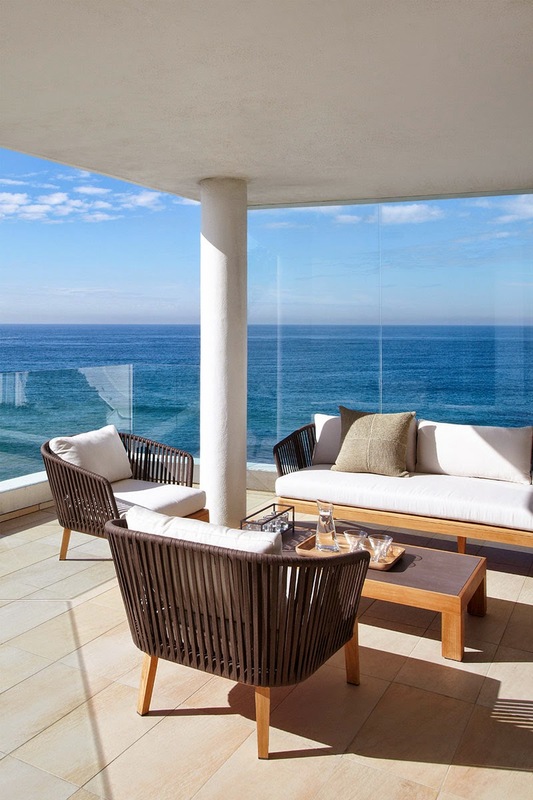 The result captures the allure of beachside lifestyle: relaxation, tranquility and escape, with warm light toned timber and marble finishes in harmony. 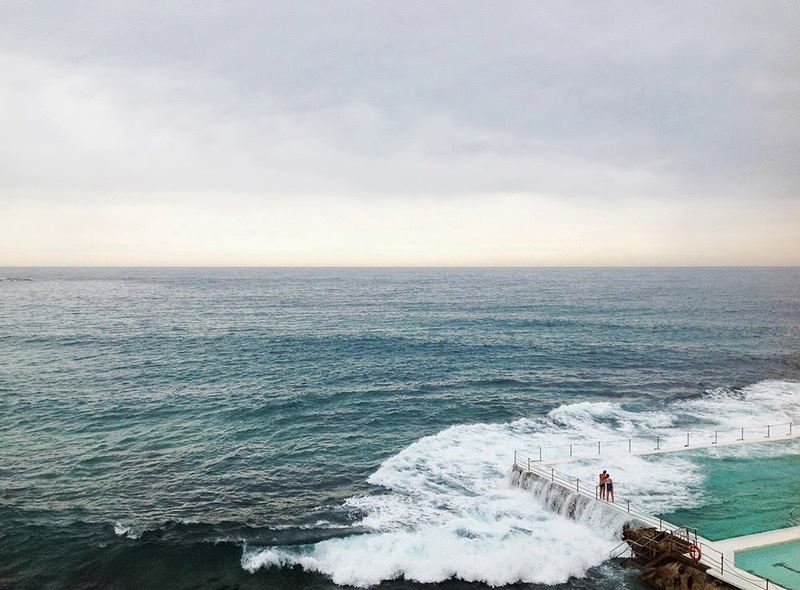 The Beach Residence is a luxury two-unit renovation with captivating views over iconic Bondi Beach. The challenge was developing a design concept to convert two dated, cramped 1980s apartments into flexible open-plan residences capable of both intimacy and engagement with the natural setting. A coherent, flexible design that embraced the beach life philosophy without compromising their differing uses was key in this project. The residences capture the allure of beachside lifestyle; relaxation, tranquility and escape, without interruption or distraction. 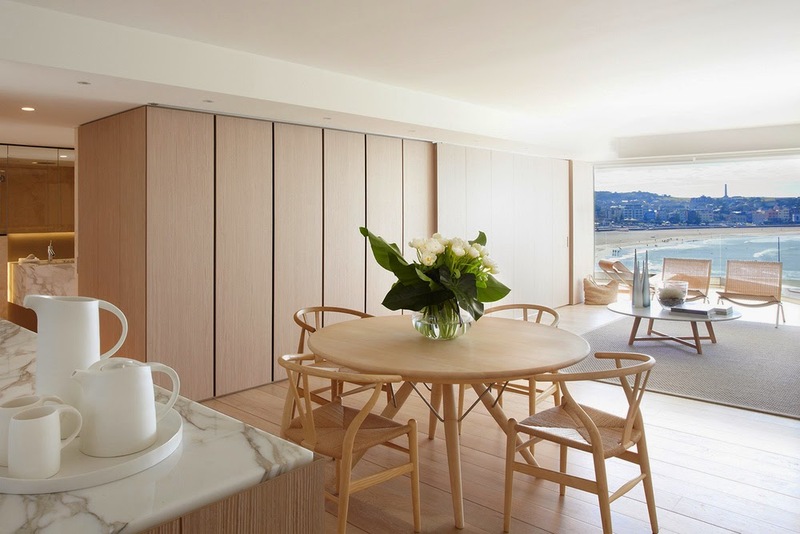 One unit; a full-time residence, is finished predominantly in warm light-toned timber, seamlessly connecting it to the sand of Bondi Beach beyond. The lime-washed natural timber, and the rich Calcutta marble accents give a warm ambience and tactile honesty, creating an atmosphere of peaceful retreat within a home. 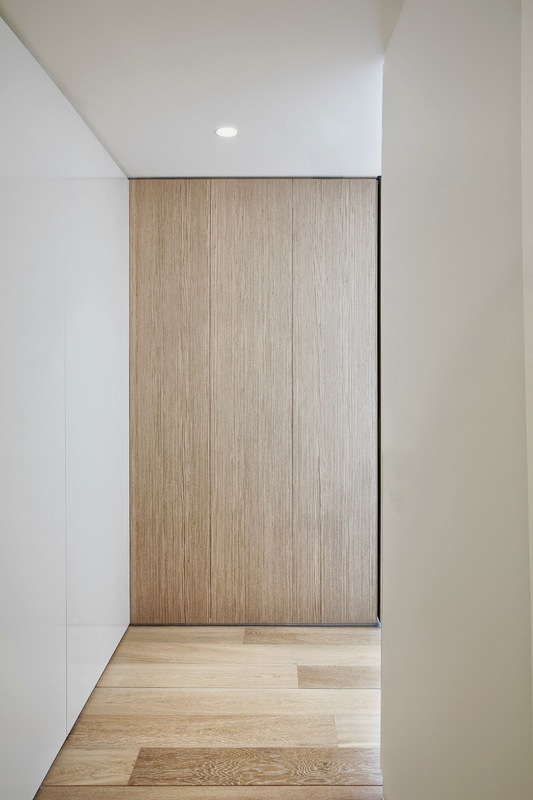 The apartments work in perfect harmony; the expressed groove in every third timber floorboard aligns precisely with the bespoke joinery and the expressed lines in the sliding doors. 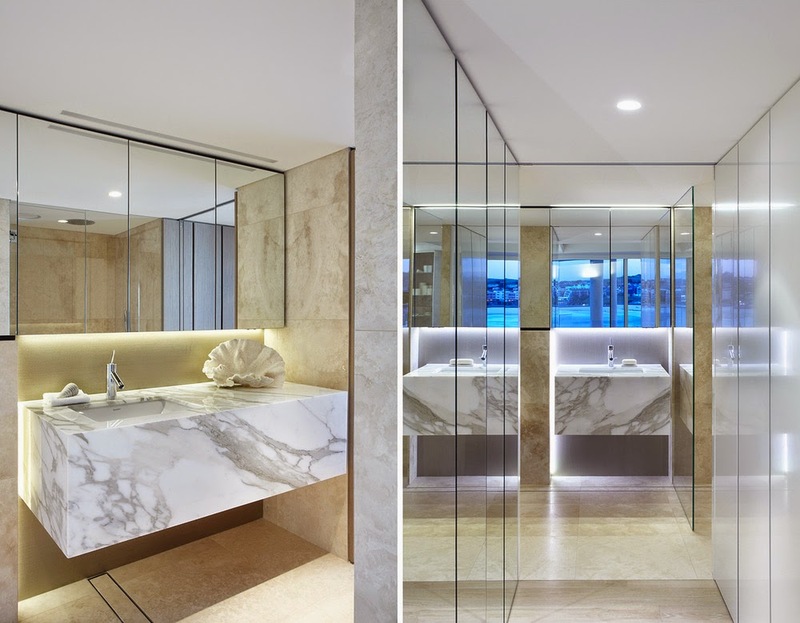 The preciseness in the alignment of the floor and walls is designed to be overlooked, allowing a pure simplicity and seamless interior which allows the occupant to focus on the constantly evolving and changing light and atmosphere of Bondi Beach. 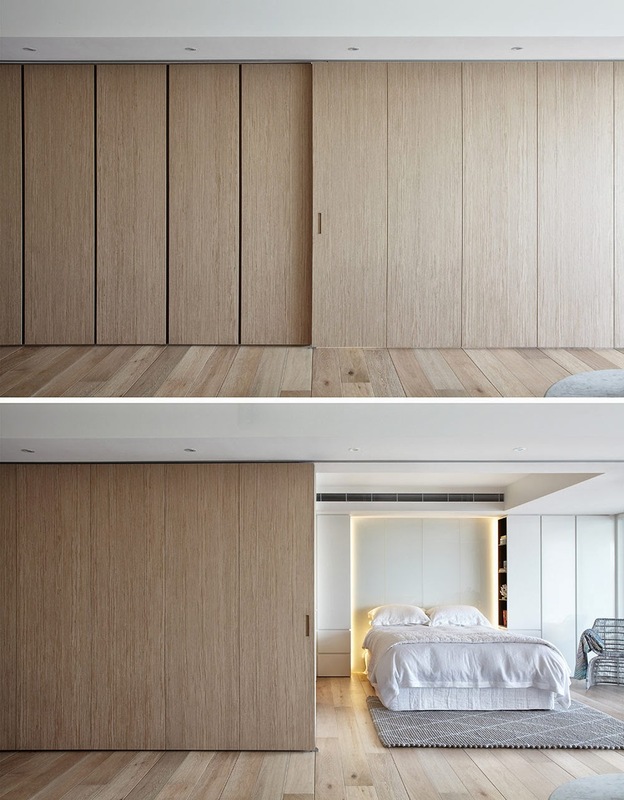 Large sliding doors act as moving walls giving the resident the power to control their presentation and lifestyle. 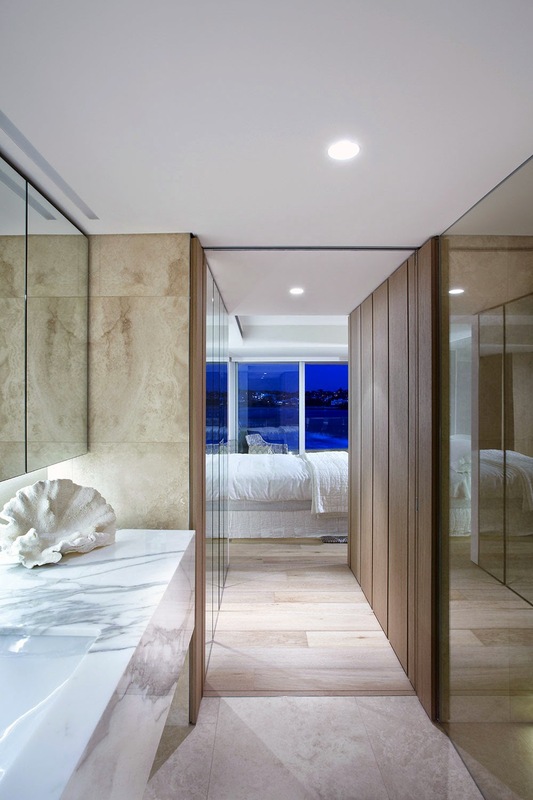 When opened, the apartment is connected to uninterrupted views of Bondi Beach, and when closed a private, formal abode that retains the relaxation of the beachfront without the exposure is created. The second unit; a peaceful holiday retreat is finished in crisp white polyurethane and frosty, ice-like glass panels. This luxurious, yet understated design reflects the constantly changing colour of the ocean and was inspired by the breaking waves. The clean finish creates a ‘freshness,’ allowing the natural beauty to remain the focal point.